Pétanque Ann Arbor: Tournament -Pétanque Sunday August 30th at 1:00 p.m. Tournament -Pétanque Sunday August 30th at 1:00 p.m.
Fun and games. Food and friendly competition. 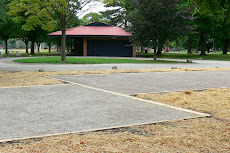 Please signup on the "Petanque Ann Arbor" meetup site to reserve a place. Go to the calendar and RSVP for August the 30th. 24 max players. First come first serve.